Editor’s Note: This list was researched and curated by Sean Murphy. A guarantee: you are not going to agree with this list. I’m not either. And that’s the thing with lists, especially lists about music: they are malleable. Kind of like the old saw about one person’s Utopia being another’s Abaddon. Although with utopias an individual vision is probably easier to articulate. How many people do you know can declare, day-to-day, what their favorite albums or songs are? Would you, as a music enthusiast, necessarily trust anyone who could rank their all-time desert island discs and never revise or at least second-guess that list? And yet, as the purpose of this column has been to revisit, reassess and, above all, celebrate all-things prog rock, it’s inevitable we grapple in some fashion with the best of the best. As such, and to ensure some measure of consistency, I’ve set up some sensible but entirely self-appointed guidelines. 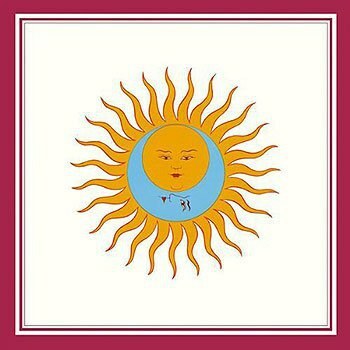 For me, the initial and still-golden era of prog rock starts in 1969 and ends in 1981. And, since debate will -- and should-- forever rage regarding which bands are or are not part of the progressive genre, I’m (quite contentedly) limiting discussion to acts hailing from the UK and here across the pond, including a certain trio from the Great White North. Whether this decision is defensible is subject to debate, and I welcome (and can predict) alternative suggestions in the comments section. If a particular band is overlooked the ultimate question must be: however worthy, could any of their albums supplant any on this list? My conclusion, after weighing the options, is that they could not. If, inevitably, certain acts figure prominently, no apologies are offered. This is not an exercise in anointing personal preferences, but an inventory of the best albums. So while many of these final choices were easy to make, it was still excruciating to cull what necessarily began as a large list. A quick shout out to some (but not all!) of the selections that didn’t quite make the final cut. From Gentle Giant, The Power and the Glory; from Camel, Mirage; from Pink Floyd, Atom Heart Mother and Meddle; from Jethro Tull, Minstrel in the Gallery and Songs from the Wood; from Yes, Going for the One and Tales from Topographic Oceans; from Genesis, Nursery Cryme and A Trick of the Tail; from Rush, A Farewell to Kings and Permanent Waves; from ELP, Pictures at an Exhibition and Brain Salad Surgery; from King Crimson, Lizard, Islands and especially In The Wake of Poseidon; and two wild cards: Traffic’s The Low Spark of High-Heeled Boys and from the Moody Blues, On The Threshold of a Dream. Anyone who loves progressive rock (and lists) can appreciate that many, many additional choices were affectionately considered. One final note: in general individual tracks are not discussed in part to avoid giving this article an even more unwieldy word count, but better still, because The Amazing Pudding will be examining the Top 100 Progressive Rock songs every other month throughout 2016. When it comes to the absurdly resourceful bench of prog rock bands, King Crimson was probably the most versatile of them all. Certainly they were the most adventurous, with ceaselessly shifting line-ups inspiring entirely new sounds. One could play a song from their first, third, and fifth albums and the average listener would have no clue it was the same band. And that, in some regards, is the premise and essence of progressive rock. 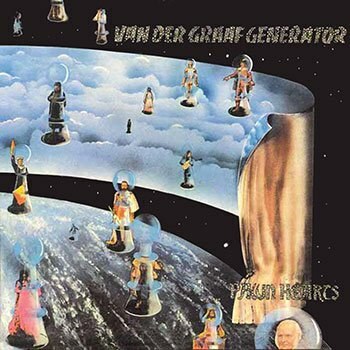 Guitarist/resident visionary Robert Fripp is, as always, guiding the ship into ever-weirder waters, but it’s the introduction of (former Yes) drummer Bill Bruford and the one-two punch of David Cross (violin) and Jamie Muir (percussion) that make this one of the most distinctive offerings in the Crimson catalog. Swapping out the fully competent Tony Kaye for keyboard virtuoso Rick Wakeman put Yes on an completely new level; by the time they recorded Fragile the group had a veritable genius on each instrument. 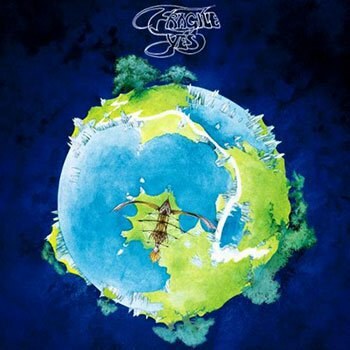 More indulgent than The Yes Album, as each member gets their own solo showcase (with mixed results), the high points on this one are among the best things Yes ever did. While “Roundabout” functions as a seminal prog-rock touchstone, it’s the other extended tracks that make Fragile far greater than the sum of its parts. “South Side of the Sky” provides ample evidence for why the Wakeman upgrade was obligatory, and “Heart of the Sunrise” remains the most purely distilled product of this band’s considerable powers. The Wall might be prog rock’s White Album in the sense that different fans would disagree which songs are sublime and which are second-tier. Most folks would concur that, while exceptional overall, this sprawling and extravagant (see: Waters, Roger) opus is a notch or three below the holy trinity of masterpieces that preceded it. Still, it’s difficult to deny that some of the Floyd’s finest work is represented (“In the Flesh?”, “The Thin Ice”, “Hey You”, “Comfortably Numb”), even if Waters had long since set his ego for the heart of the fat old sun. 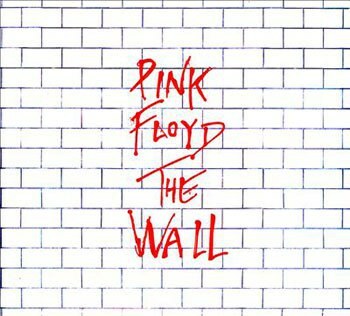 One of Pink Floyd’s -- and prog rock’s -- last gasps, The Wall endures as the kind of album the best bands made when the best bands made these type of albums. Just over halfway into the decade, when many of the old guard progressive rock bands were out of ideas or on hiatus, Rush delivered one of the genre’s definitive anthems. If the second side has mostly aged as poorly as the scarves and kimonos the band sports on the back cover, the title track still sounds at once familiar and forward-looking. Where on their previous three outings the trio wrestled uncomfortably, at times, with Led Zeppelin aggression and Pink Floyd-ian precision, everything came together for the masterpiece that served as coming out party and remains a calling card. 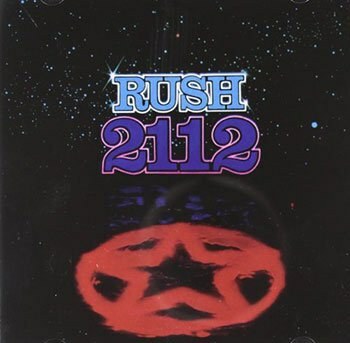 Interestingly, while plenty of pundits (then, now) find Rush -- in general and prog rock in particular -- too pretentious to bear, this particular album has more in common with the much celebrated punk rock ethos that served, along with disco, to serve the progressive movement its last rites. All these years later, there’s no denying this remains high on the list of all-time worst album covers (meaning it’s also kind of awesome, in its way). If the cover art, like the band’s existence, seems to function as an upraised middle finger to critics, the music inside is no joke. 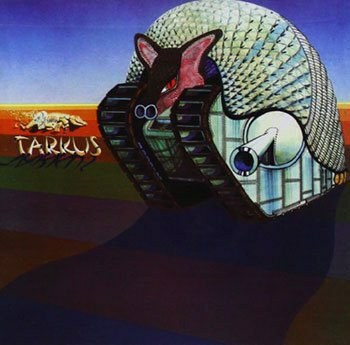 Not unlike 2112, the second side is, at times, inconsequential, but Tarkus is a delivery device the side-long title suite. This is where grandiosity meets spectacle, with a storyline as bewildering as it is half-baked. But the music? With ELP it’s all about the music, and the mood -- only more so. The martial Sturm und Drang of the opening notes billowing into the scorched earth lamentation of what is supposedly a tale of evolution in reverse expertly balances bedlam with resolution. Art-with-a-capital-A; Epic-with-a-capital-E, Pomposity-with-a-capital-P, etc. 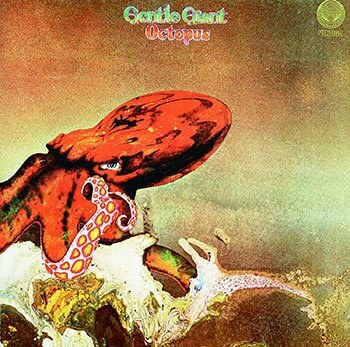 Gentle Giant has always been relegated to the second or third tier, worshipped by a select contingent. This of course is a phenomenon that imparts a certain aesthetic credibility; only the people who are really in the know are aware of them. Or, you have to work harder to find your way to this band. Octopus ably matches the group’s lofty aspirations and their impeccable musicianship, and stacks up nicely with other prog masterpieces of the era, no mean feat. Typical period pieces like “The Advent of Panurge” (if you are going to get literary, don’t half-step!) and “Raconteur Troubadour” are stylistically and sonically all over the place but always in control. On this outing the band knows what it’s after and is able to achieve it. For people to whom even Gentle Giant is not out-there enough. This, as much as any music of the genre, is a take it or leave it proposition, which might explain why this band (and, in particular, this album) has unwavering disciples while those who dabble in prog rock -- assuming such people exist -- may have never heard it. Here it is, for better or worse, work that embodies many of the best accolades and worst epithets of the genre: ambitious, self-conscious, literate, sprawling, obscure, and unadulterated.